Our platform serves as foundation to all products and services provided by OmniPlatform. The efficient flow of information from the consumer touch-point to back-office infrastructure, enabled by the platform, allows us to deliver a compelling web, desktop and mobile experience. Collaboration and automated workflow across services within your Enterprise, third party cloud services and social media. Existing and custom integration adapters. Big data, custom analytics and real-time reporting. Support Best-of-Breed without unnecessary in-house support and overhead. 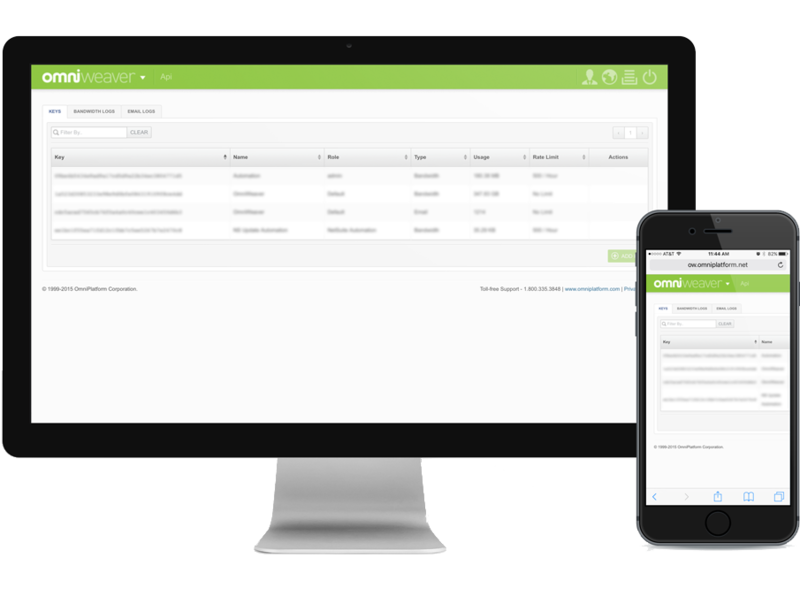 Keep/export/migrate all your data as you change service providers with minimal impact on existing workflow - prevents vendor lock-in and provides for full control of your data in the Cloud. Available for Desktop, Mobile and Embedded Systems. End-user experience and full support. 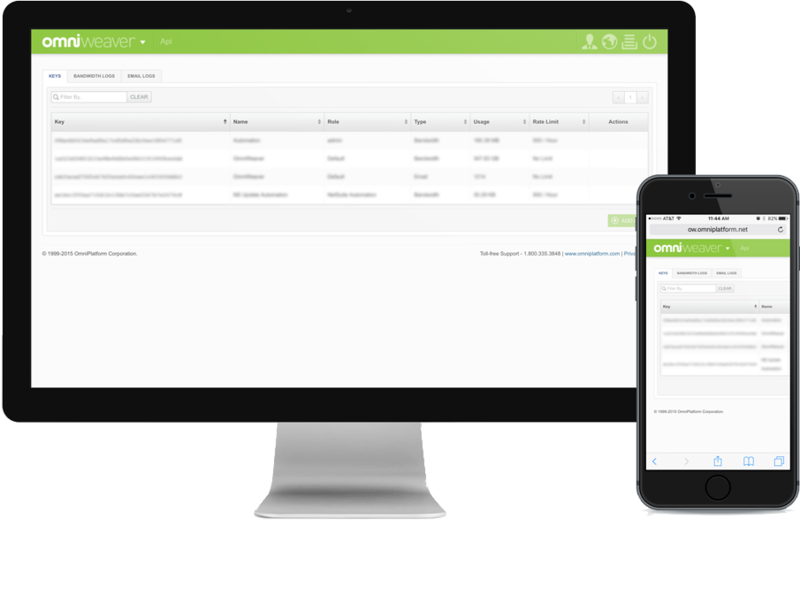 OmniWeaver enables Data Integration, Information Management, User and Application workflow via standard APIs and a centralized User Interface. 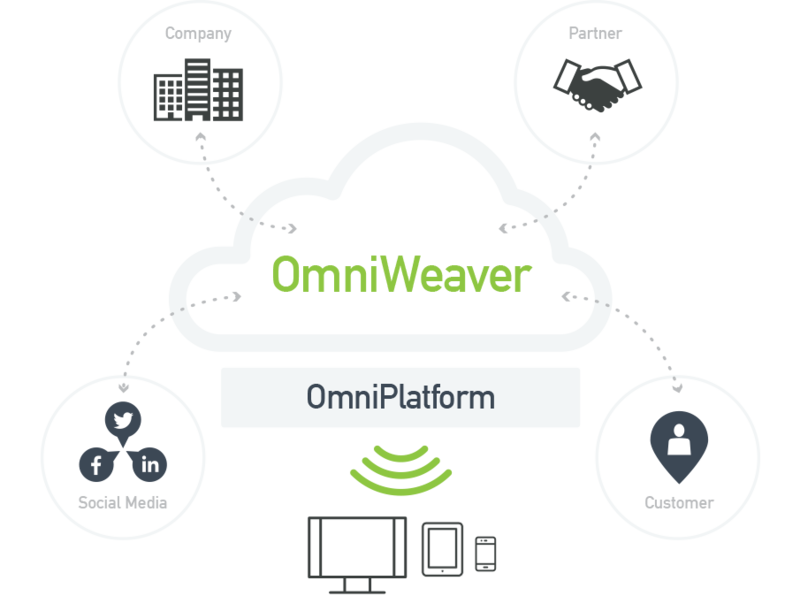 Leverage our powerful Platform by using OmniWeaver to weave business applications, with workflows and forms that span roles, business units and data sources. Work smarter and stay focused on growing your business by breaking information silos. Collaborate with your peers, customers and partners all in real-time. Create, modify and reuse OmniWeaver applications without writing a single line of code. I would like to schedule a demo of OmniWeaver.